Three time Grammy nominated DJ and producer Paul Oakenfold returns to his roots with a new tour and album concept that launches in the US and Canada this October. 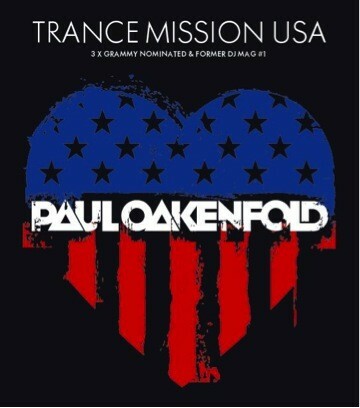 “Trance Mission” will bring a fresh visual and audio experience to the hottest dance floors as Paul takes his popular “Full on Fluoro” sound on the road in the US for the first time. 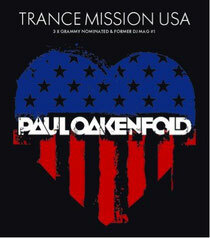 In addition to the tour Paul will release a ”Trance Mission” album featuring brand new versions of ten of Paul’s favourite trance releases of all time. In the 1990s Paul’s Perfecto and Perfecto Fluoro record labels were responsible for some of the biggest selling trance releases of all time, including classics like Planet Perfecto’s ‘Bullet in The Gun’, PPK ‘ResuRection’, Man with No Name’s ‘Teleport’ and Paul’s own track Grace ‘Not Over Yet’ and our favourite, ‘Southern Sun’ - which has appeared on over 150 compilation albums to date. His residencies for Amnesia and Pacha (Ibiza), Ministry of Sound and Home (London) and Planet Perfecto at Rain (Las Vegas) are all well documented as milestones in the evolution of the electronic scene, but it was his residency for Cream in Liverpool that not only set his path towards becoming the one of the biggest headliners in the world but also cemented his status as the original head of the trance fraternity.